Summer fashion means white, sheer, or exposed skin. All fun and flirty ways to express yourself during the warmer months, but a pain when you are on the big P. Revealing a few HUGE fashion and personal secrets about myself in this post that you will not want to miss. “Girl, how do you look like that with a 9 month old?” I give a humble, yet satisfying smile, and just reply “Thank you.” The secret is, I go nowhere with out my slimming fashion. No, not Spanx, although there is nothing wrong with slim-wear as undergarments. I am talking about built in tummy control in my jeans, pants, and leggings. “Fashion with a purpose,” as I call it, has my waistline looking a full size smaller, buying me time as I actually get it back to where I want it. Some of my favorites are Lola jeans, Lysse leggings, and Robell dress pants. Summers in the south are hot and dehydrating. It seems like I can never quench my skins thirst for nourishment, especially my lips! I have been trying a little bit of everything but finally have the answer! I have come up with a sugar lip scrub and Blistex combo that can’t be beat! In the AM I scrub my pout with my new AN Signature sugar lip and oil scrub. Then, I wipe my lips with a dry cloth. I slab on the Blistex until my mouth is visibly white and wait on it to soak in. Last, I add a little color with my Matte Liquid Lips, also in my line. Click the links to check out the products! Check out the picture above, can you spot my hidden treasure? Look closely…. Yes it is a tampon, and YES it is tiny in size but mighty in strength. This is one of Tampax’s new feminine products. 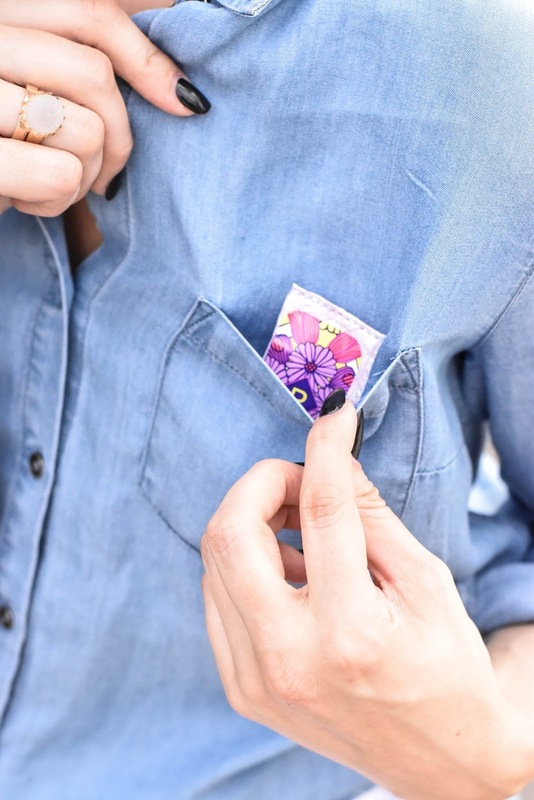 The Pocket Radiant by Tampax, found at Walmart, features Tampax’s superior width-wise expansion and LeakGuard Braid protection system, a purple pocket sized applicator, and unique re-sealable wrapper. I wear my summer trends with confidence as I always have my hidden friend close by. Yes! My secret to full hair when my strands are so thin, is not washing my hair after working out or hitting up the beach, but instead, tousling my roots with dry shampoo. This is good news for any lady who lives in a hotter summer climate as the summer sun will cause the scalp to perspire. I have found that the mix of my sweat and dry shampoo grits my roots to fabulous Victoria Secret status! Now for a random fun one…. This is definitely a closeted secret until now! I wanted to explore a world that I normally would place judgement on as an exercise to stomp out any “basic-ness” in my bones so I ventured out to buy my first comic book, with the help of an expert. I am shocked to say, I truly enjoyed it and since have started on a new series. It really seems to pull the inner child out of me. Ladies, comic books are not just for boys. They have tons of different reads geared specifically for women. To add one little bonus secret on top of that, I secretly want to go to Comic Con and dress up. My son’s dream come true! There you have it. My summer secrets are out of the bag! Speaking of bag, I totally recommend all of my fellow mom bosses, busy ladies, and take charge women to purchase a box of Pocket Radiant by Tampax, found at Walmart, and stock your purse so you can be confident in your summer threads. Want to share with your Pinterest friends? Feel free to share the pin-able image below to your Pinterest account!